Details about FisherPrice iXL Learning System Software Disney/Pixar Cars 2 Ages 3-7 yrs. 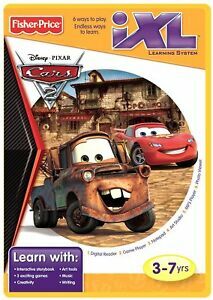 FisherPrice iXL Learning System Software Disney/Pixar Cars 2 Ages 3-7 yrs. Platform: iXL Age Level: 3-7 yrs.